We started our journey back in 2014. After 2 years of development work, our website – www.emarketinginstitute.org – went live in 2016. What an amazing journey it has been. The first student signed up on 18th April 2016. We have grown steadily since then. 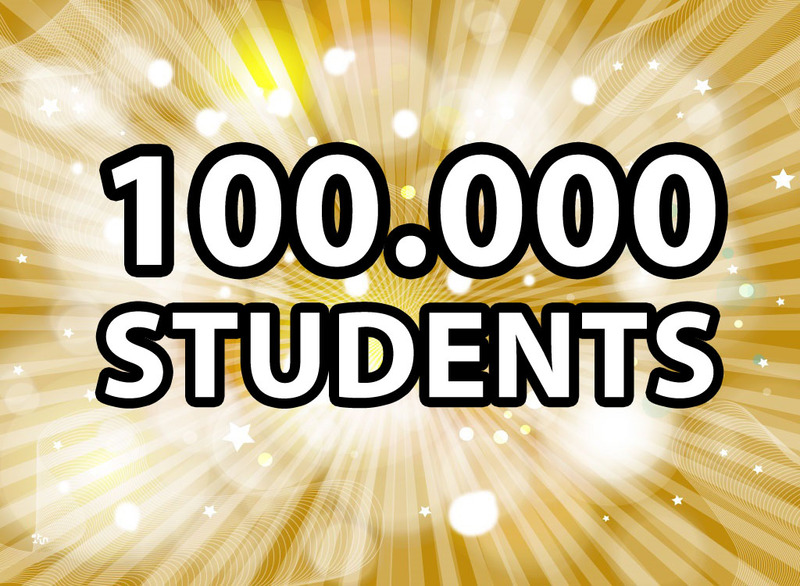 Now, almost 3 years later we can welcome our student number 100.000, who has signed up for one of the 10 free courses on eMarketing Institute. We love to share free stuff on the internet, and we will continue to share more free stuff in the years to come… We believe, that everyone, rich or poor, should have a chance to read and get educated. We are happy, that you like it too. We are both very thankful and proud of having reached this milestone. One hundred thousand is a big number, and it is still hard to believe, that we have so many users on our platform. From the bottom of our hearts: Thank you so much!! !